Sensor City, Liverpool’s new hub for sensor technology development and growth, has reached practical completion and welcomed its first tenant. Contractor, Kier Construction, has now completed works on the £15m, 25,000 sq ft scheme on Russell Street, Liverpool and handed the building over to the Sensor City team, which is currently fitting out the space. The centre, which is a joint venture between the University of Liverpool and Liverpool John Moores University and one of four flagship University Enterprise Zones, has been designed and built to create a UK focal point for investment and exploration in sensor-related technology. By offering technical expertise, specialist equipment, business support and an international platform for collaboration, Sensor City will help to promote UK sensor technology globally, working with SMEs and entrepreneurs to create their prototypes and accelerate the process of bringing them to market. 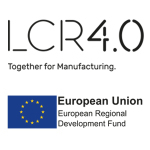 Sensor City has received £5m of funding from the England European Regional Development Fund (ERDF) as part of the European Structural and Investment Funds Growth Programme 2014-2020 and £5m from BEIS, as well as ongoing support from the university partners. Fatigue Management International (FMI), which works to improve driver safety through the detection of fatigue via sensor technology, is the first tenant to move into Sensor City. The company has taken a 344 sq ft suite on the second floor of the building and will use its cutting-edge in-house facilities to drive innovation and trial its new products. FMI is focused on the fatigue science market, in particular in the transport, mining and heavy trucking industries. The company has developed ASTiD, an early warning system designed to help drivers become more aware of their own limitations and to empower them to monitor and manage their fatigue risk before they become too impaired to stop themselves falling asleep at the wheel. Ian Thomas, managing director at FMI, said: “We are very pleased to be the first official tenant in this impressive new building. We’ve been cohabiting with the Sensor City team at Liverpool Science Park since January, ahead of the building’s completion, and were eager to continue that relationship. 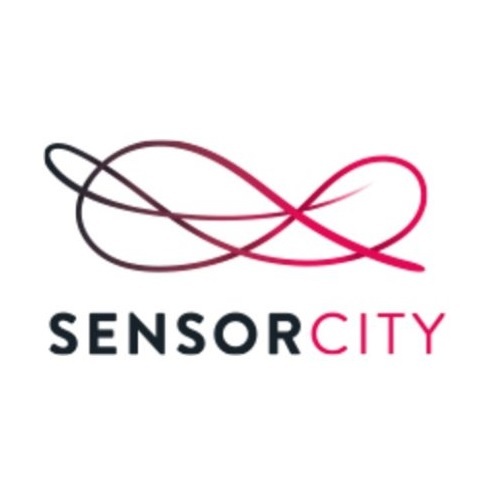 Dr Joanne Phoenix, business development manager at Sensor City, said: “The practical completion of Sensor City is an exciting milestone, as it allows us to finally open our doors to organisations that are looking to bring their ground-breaking sensor technology ideas to market. There are 21 flexible suites available to let at Sensor City, ranging from 140 sq ft to 849 sq ft, as well as hot desking and collaborative work spaces. 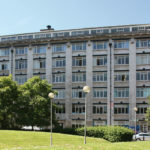 The real draw for potential tenants however, is that the building is home to some of the most sophisticated laboratories for sensor and Internet of Things (IoT) technology development in the country, including the only LPKF machine in the UK. The combination of these facilities with the technical and business advice available at Sensor City, will allow companies to take their new ideas from concept all the way through to robust prototype. Sensor City is expected to create 1,000 jobs in the region over the next decade and nurture approximately 300 start-up tech businesses. Cushman & Wakefield is agent on the Sensor City scheme. 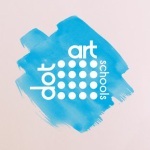 dot-art Schools announces its sixth annual inter-school art competition!